Former PM unhappy after Science Minister rejects appointment of professor who signed a letter encouraging refusal to enlist. 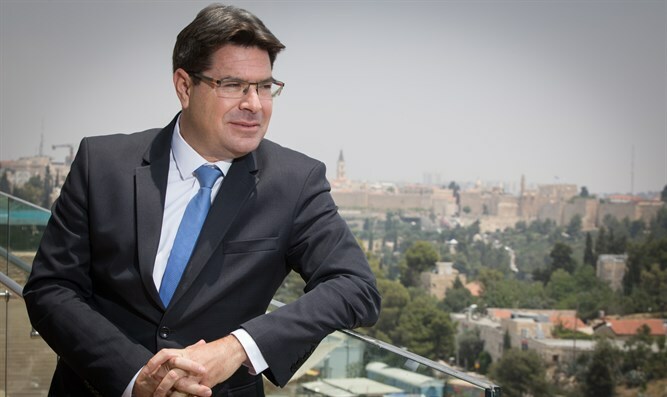 Former Prime Minister and Defense Minister Ehud Barak on Sunday blasted Science and Technology Minister Ofir Akunis (Likud) for preventing the appointment of Prof. Yael Amitai, one of Israel's leading brain researchers, to an Israeli-German scientific committee. According to a report in Haaretz, Akunis made the decision in light of the fact that Prof. Amitai in 2005 signed a petition in support of soldiers who refuse to serve in Judea and Samaria. Meanwhile, the chair of the Council of University Heads and the president of Tel Aviv University, Prof. Yossi Klafter, appealed to Akunis and warned him against harming Israeli interests and against mixing science and politics. "The Minister of Science believes that it is not appropriate for those who encourage refusal to enlist to represent the State of Israel in international forums," the adviser added. Akunis also took pride in the decision in a Facebook post in which he wrote: "Supporting the IDF - fighting against refusal." Barak, meanwhile, continues his ongoing criticism of the Israeli government. Among other things, the former prime minister recently accused the government of leading towards a reality of one state with an Arab majority. He previously attacked Prime Minister Binyamin Netanyahu on Twitter and called him “a deceptive and cowardly Prime Minister”, following reports that Netanyahu rejected a document about a regional peace initiative. Two weeks ago, Barak implied in a tweet he was making a comparison between Netanyahu and his wife and French King Louis XVI and Queen Marie Antoinette. Despite their ongoing spat in recent years, Barak split the Labor party in 2011 and formed the short-lived Independence party so he could continue to serve as Netanyahu's Defense Minister.